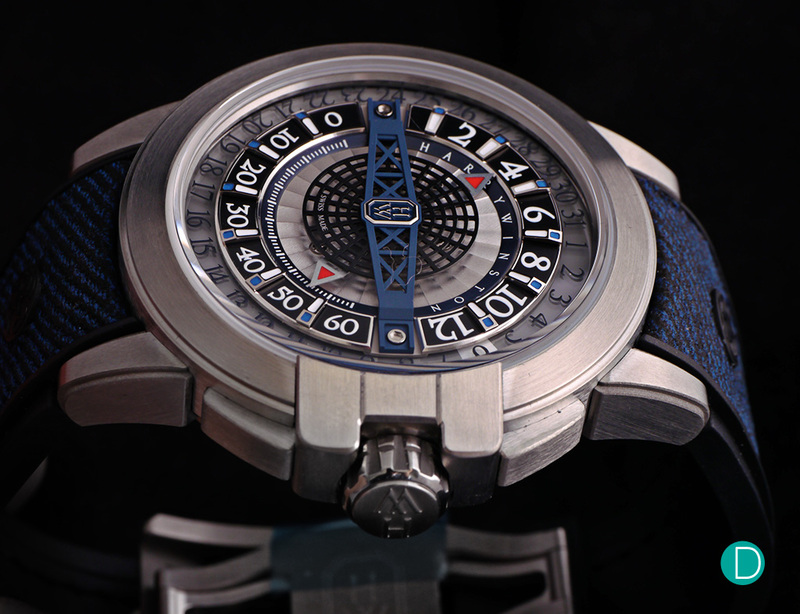 For the past fourteen years, Harry Winston’s Project Z timepieces have stayed true to its identity of being avant-garde. Many of the Project Z creations have relied on asymmetry as a core design element. This year, the esteemed New York-based jewellery and watch brand presents a new take on Project Z, one in which design is centered upon concentricity and practically perfect symmetry. Here, we bring you the details and our thoughts on the new Project Z12. The case of the Project Z12 measures a modern 42.2 mm in diameter and 11.27 mm in height. For a watch with a sportier persuasion, the dimensions are just right – neither dainty nor overbearing. In keeping with the tradition established fourteen years ago by the brand, the Project Z12 is housed in a case made of “Zalium”. Zalium is Harry Winston’s proprietary high-performance alloy consisting of zirconium and aluminium, and its traits include lightweightedness, corrosion-resistance, and high durability. This makes Zalium perfectly suited for a sports/casual watch case. The Project Z12 is fitted with a domed sapphire crystal for added character, and said crystal is treated with anti-reflective coating on both sides to minimise glare. With a water resistance rating of up to 10 bar, the watch is safe for shallow water activities such as swimming and more than protected from rain or splashes. 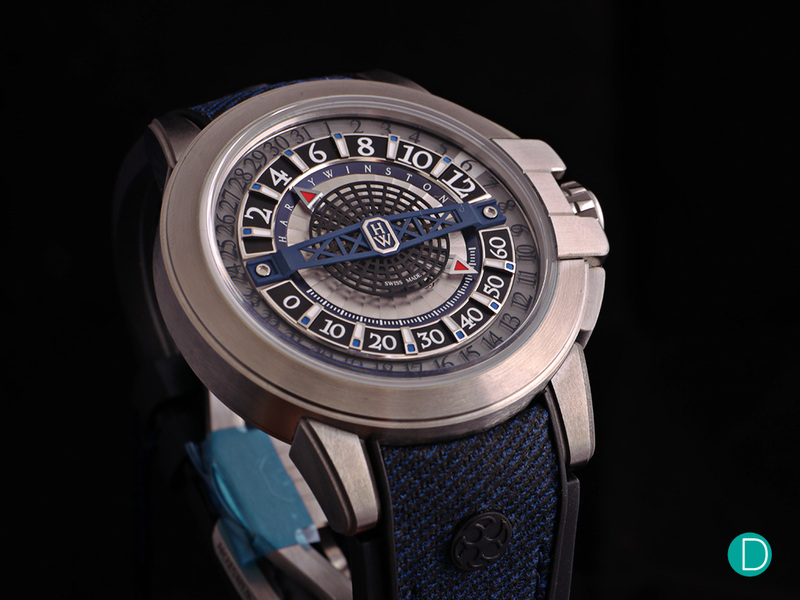 From the photos, the watch appears to be matched with a rubber strap with denim laid on top – in actuality, it is calfskin with a denim effect with a rubber base. As such, a strap change may be advisable should you wish to indulge in a swim and avoid ruining the calfskin. The case is crafted in Zalium, a proprietary zirconium-aluminium alloy. The dial of the Project Z12 is where all the fun is. Everything on the it is displayed concentrically, from the retrograde hours and minutes, to the date. But the watch stands out from the usual fare of retrograde display timepieces. Its hands, with red-filled arrow tips, create an illusion in which the hands appear to trace a circular trajectory when in fact their paths are semi-circular and non-overlapping in nature. Meanwhile, the date is displayed on a disc located on the edge of the dial. 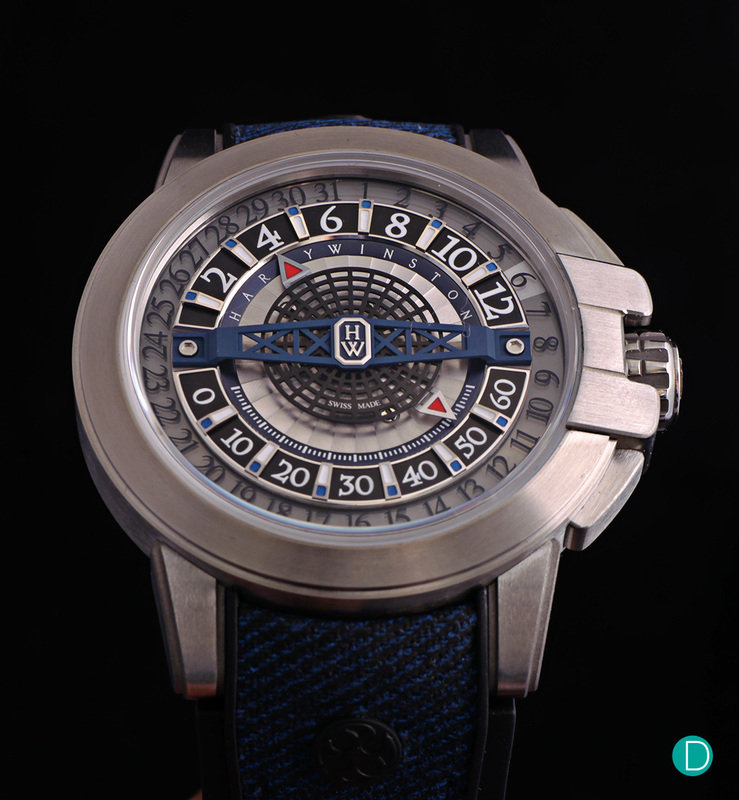 This disc, which is made of sapphire crystal, is fixed and punctuated by transfers bearing numbers between 1 and 31. Luminescent material moves beneath its surface to illuminate the date. The Project Z12 uses a bi-retrograde display to indicate the time in hours and minutes. Serving a more decorative rather than functional purpose on the dial is the large, arched bridge that straddles the central axis of the dial. Following in the footsteps of its predecessors, the bridge is built like a steel beam. It is meant to evoke the heritage of New York City, in particular the unyielding structures of Manhattan’s great bridges. The Project Z12 is fascinating not just in design, but also in materials used. Not everyone will fancy its playfulness, but that does not negate the fact that the Project Z12 is one of the more interesting time-and-date-only timepieces in the market today. With its lightweightedness and manageable size, the watch is also fit for daily wear. The Project Z12 is the kind of watch that will put a smile on the faces of anyone who lays eyes on it, and as such, it belongs on the wrist and not the cold depths of a safe! 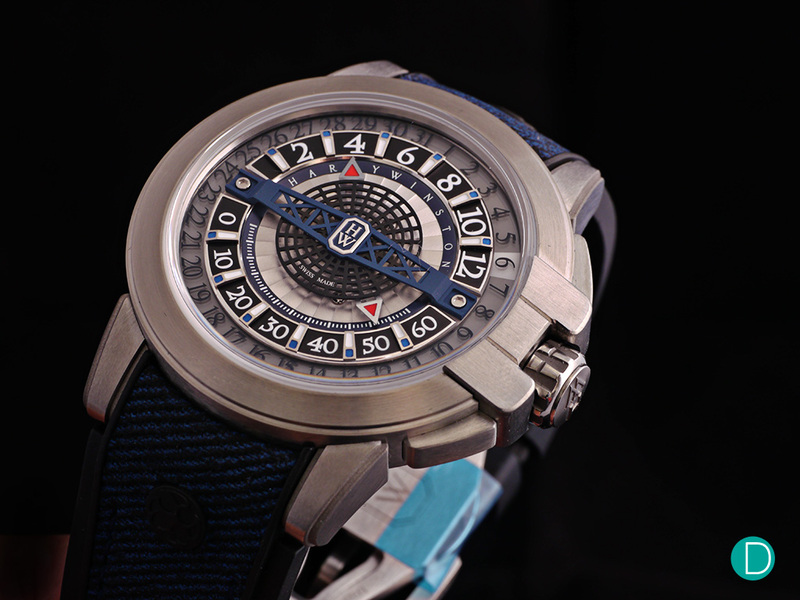 The watch comes with an interesting rubber-based with denim-printed calfskin on top. Powering the Project Z12 is the brand new 332-part, 35-jewel Calibre HW3306. The automatic winding movement possesses a power reserve of 68 hours and operates at a modern 4 Hz beat rate. In line with the use of modern materials in the case and dial, the balance spring itself is crafted in silicon and is thus impervious to magnetism. The Calibre HW3306 is also worthy of praise from a finishing and decoration perspective. The surface of the bridges is decorated with a non-concentric circular Côtes de Genève that is not just ironic given the heavy focus on concentricity on the dial-side, but also unique. The waves appear to fan out rather than ripple, something we’ve never seen before. Also of particular interest is the the 18K white gold, openworked rotor designed to evoke an imagery of urban Manhattan; suffice to say, it is one of the better looking rotors we’ve seen in high-end watchmaking. Other trappings such as polished bevels and screw heads, circular grained wheels, and perlage can also be seen through the sapphire crystal case back. 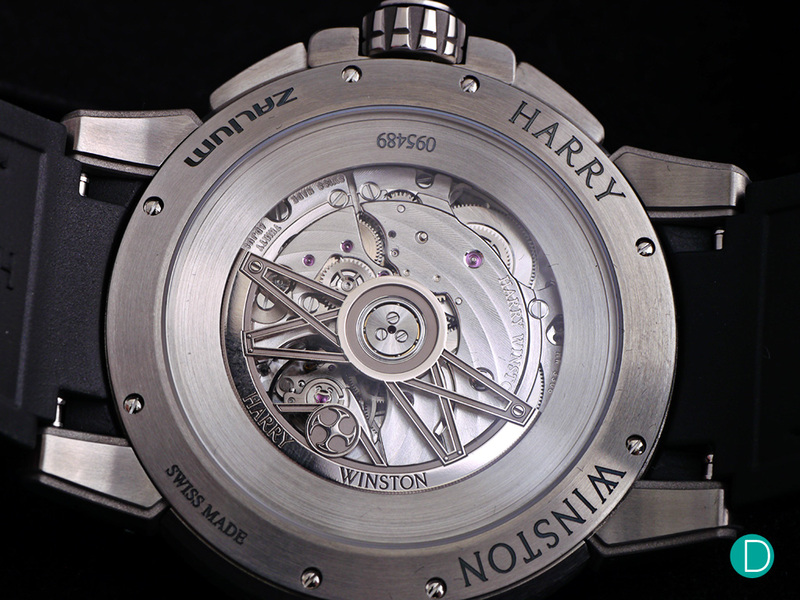 The Calibre HW3306 as seen through the sapphire crystal case back. 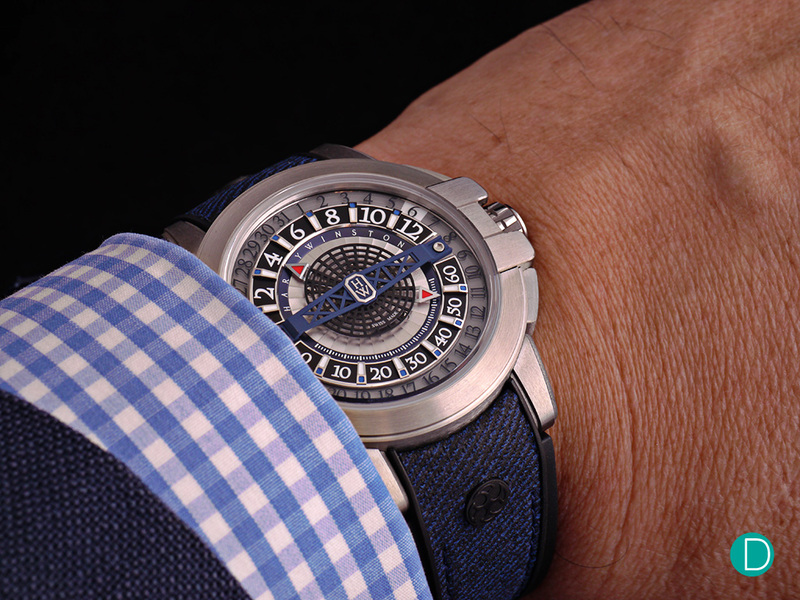 The main selling point of the Project Z12 (among others) is in its very contemporary way of displaying time and date. At about CHF24,500, it is perhaps one of the few of its kind to be relatively accessible. The Project Z12 is well-proportioned and comfortable on the wrist. It has no issues sliding under a sleeve. Just at the start of the year, Harry Winston had introduced the Histoire de Tourbillon 9. Just like the Project Z12, it too utilised retrograde displays to indicate the hours and minutes. The difference is – and it’s a big one – that the Histoire de Tourbillon 9 comes with a tri-axial tourbillon. And yes, we all know what that means: apartment money. For those with deeper pockets, the Histoire de Tourbillon 9 is undoubtedly the one to go for for top-of-the-line finissage and technicals. But this is where the value proposition of the Project Z12 comes into play. The Project Z12 itself is anything but ordinary and arguably features a more interesting design than the Histoire de Tourbillon 9. The savings of a couple of hundred grand may well be worth forgoing an overpriced, antiquated precision device in the movement. 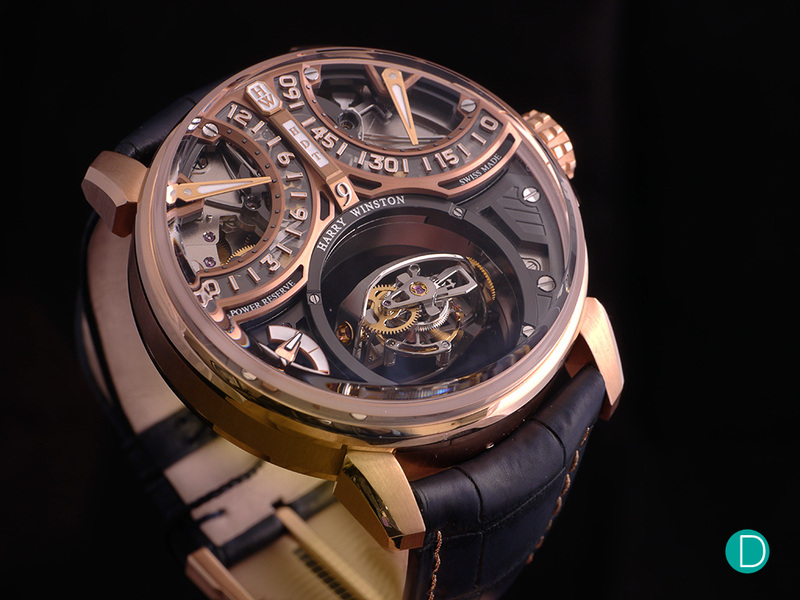 The Harry Winston Histoire de Tourbillon 9 has a simple principle: two retrograde sub-dials and a visible tourbillon. However, the construction is far from simplicity – multi-level elements with contrasting finishes with a technical presentation. In contrast to the opulence and grandeur of the Histoire de Tourbillon 9, there’s the MB&F HMX. Although it does not do it in a bi-retrograde manner, the HMX displays time in a rather unconventional fashion as well. The time is displayed by the use of rotating discs on the top of the movement. These are reflected 90 degrees and magnified by two sapphire crystal prisms that project the display to the front of the vertical display. This concept, along with the design of the case, is indeed exotic and exciting, even when compared to the Project Z12. It has to be noted however, that beating inside the HMX is a modified Selita movement, not an MB&F movement designed and manufactured from scratch. And in spite of that, the watch still costs around 50% more than the Project Z12. The HMX is bound to win more plaudits for its design but from a watchmaking perspective, the Project Z12 offers more value. 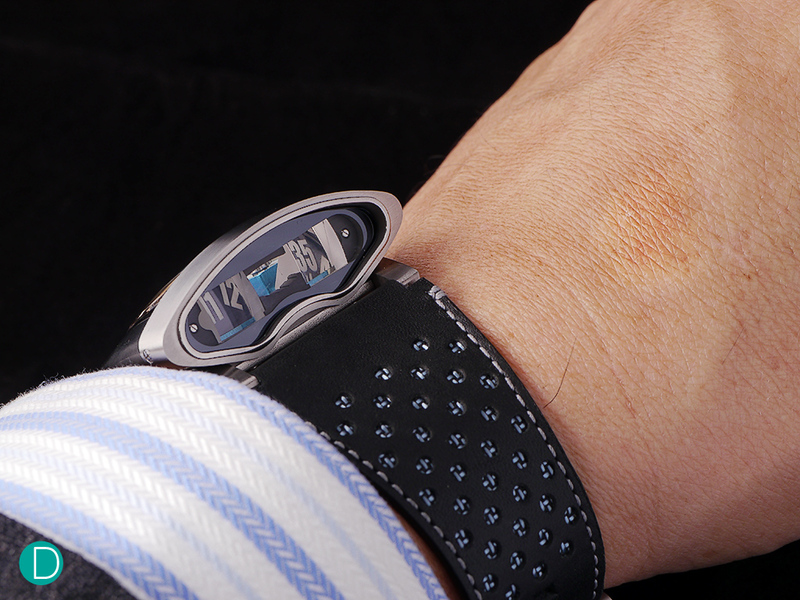 The HMX is MB&F’s most affordable offering, made possible with a Selita movement. 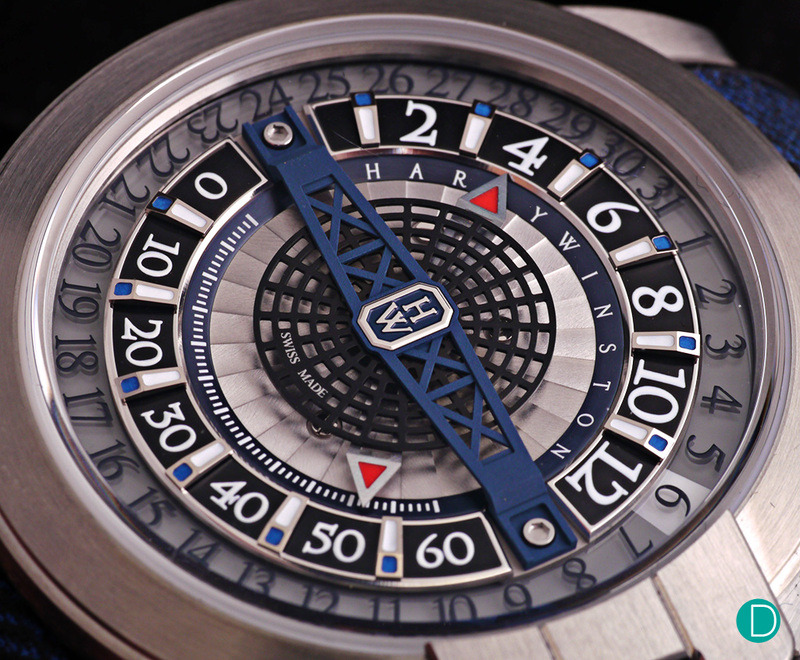 It may look like a roulette wheel, but the Harry Winston Project Z12 packs serious watchmaking. Its eventual 300 owners will experience first hand that horology is more than just wheels and arbors, that it can be fun and playful as well.